Well, I finally got round to writing something on this blog...I never knew what jetlag was until this trip! 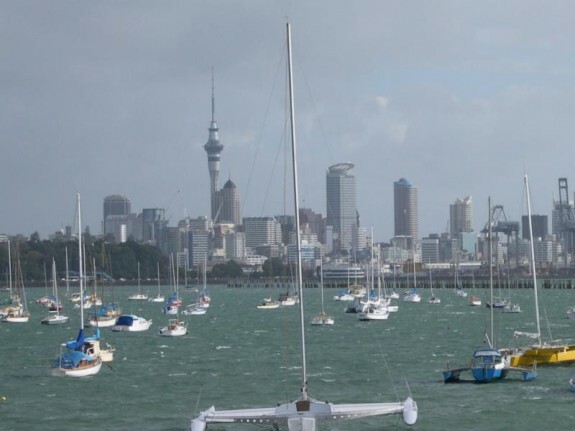 First impressions of New Zealand...it feels like a parallel universe to the UK...it is clearly winter here but it feels more like September in England. The flora and fauna (esp birds) are so exotic, we have to keep stopping to look at things. Palm trees and huge ferns abound. And mynah birds - the sparrows of NZ it seems...Saw a really big kingfisher yesterday too. The people are really friendly and relaxed and everyone talks to Owen too, not just me. 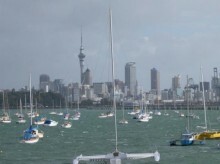 Auckland is incredibly cosmopolitan, and most people here seem to be mixed race or Maori, Pacifica, Chinese or Asian. It's not like any European city - feels more like a Polynesian city. I love the fact that everywhere you go, there's water or a harbour or inlet of some kind. It's a really beautiful city to look at from the panoramic views from the volcanic cones. The countryside that we've seen so far has been just stunning - Waiheke island is serene and a very special place, quite a bohemian feel to it, and the coastline we drove down today, south of Auckland to Miranda, was really beautiful too, with jade-green sea and the hills of Coromandel across the gulf. But Owen and I have been really exhausted - we could not sleep at all on Sat night so Sunday on Waiheke island was a hazy day. I thought I was hallucinating when I found myself speaking Hungarian to the guys in the vineyard where we stopped for a winetasting, and then Welsh to the girls in a beach cafe (who were speaking Welsh as I walked in - totally surreal!) Finally got into the rhythm of NZ time zone today, and spending the afternoon in the hot spring pool at Miranda really helped! That's it for now. Tomorrow we're going to downtown Auckland and going up the Sky Tower, which Owen's really excited about.